In 2010, Microsoft sought to revolutionize the way gamers interacted with their virtual environments – introducing Kinect for the Xbox 360. 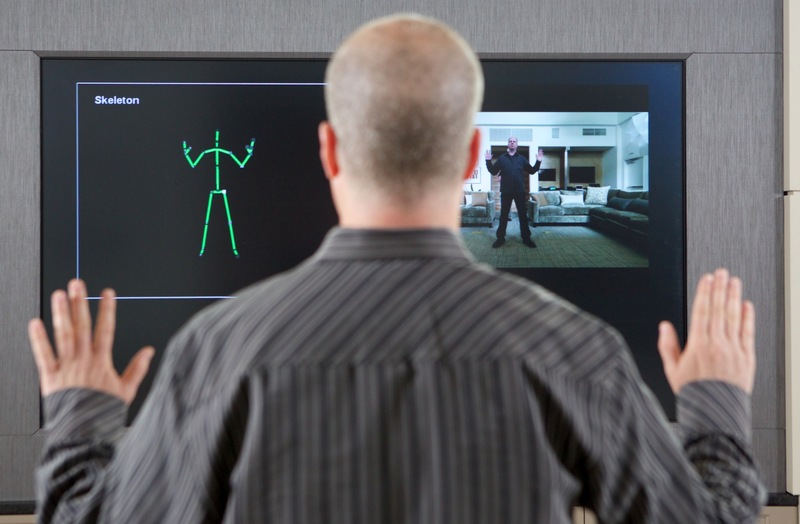 As a motion-sensing device, Kinect added numerous new control capabilities and even new ideas for games ranging from fitness to dance and even arcade titles. By March of 2010, 10 million units of Kinect had been shipped to retailers, earning the product a spot in The Guinness Book of World Records as “the fastest-selling gaming peripheral.” Games released with Kinect compatibility included top sellers such as Dance Central, Tiger Woods PGA Tour, Kinect Sports and more. Fast forward nearly three years later and Microsoft is looking to repeat such success with a new strategy: Offering an all-new Kinect bundled with its upcoming Xbox One console. This is probably the most obvious thing that comes to your mind when you think of Kinect. Let’s first provide a little insight on how it works: It’s based on multiple components including camera lens – one of which projects infrared light to pick up on the user’s environment and detect you as you move and interact with the console. While we haven’t been able to test out the new Kinect, Microsoft has promised that the all-new Kinect can pick up so much as a “simple squeeze of your hand” – giving you perfect control over the game or app you’re using. Here’s what is sure to make the all-new Kinect pretty spectacular: Microsoft has added advanced 3D geometry, something that can even detect if you’re off balance (this will surely help you with your golf swing, hence Tiger Woods PGA Tour). Also added is a new IR camera, something that now allows Kinect to see in the dark (let’s just say Xbox One is getting night vision!). If you watched the Xbox One presentation, you probably heard that you can control the console with commands including, “Xbox, go to game,” “Xbox, go to TV,” “Xbox, go to Internet Explorer,” etc. Aside from simple commands, however, what’s more fascinating is the all-new Kinect’s ability to distinguish the gamer’s voice in a noisy environment. 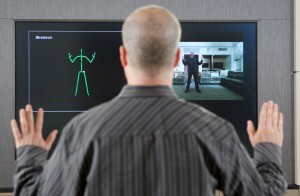 To accomplish this feat, Kinect relies on a new multi-microphone array. 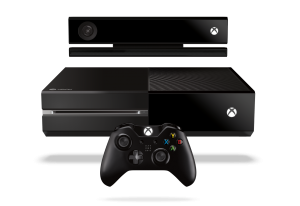 With the Xbox One, Microsoft has designated the Kinect an essential part of the console’s functionality. When launched back in 2005, the Xbox 360 didn’t have a motion sensor as the first Kinect wouldn’t arrive for another five years. Things are much different now. Microsoft is banking on a bundled strategy, something that will save consumers the hassle of buying the device separately. But most importantly, a bundled Kinect means more game developers will create their titles with Kinect functionality in mind. And while we don’t think traditional controllers are in risk of becoming obsolete, more options for how to play games are definitely on the table – a win-win for both Microsoft and consumers who will likely flock to purchase Xbox One come November.